Actress Claire Danes was tapped in August 2008 to play Temple Grandin. Temple Grandin’s life has been made into a biopic by HBO. Click here for more details on the film. In the 1998 interview with Premier Magazine, she was quoted as saying Manila “smelled of cockroaches, with rats all over, and that there is no sewerage system, and the people do not have anything - no arms, no legs, no eyes." This triggered an outrage from Manila City Government and councilors passed a resolution to ban her movies indefinitely and demanded a public apology. Claire has since apologized to the city and Filipino people, as only a reflection from the movie location site, and not as a general overview of Filipinos. Interestingly, Claire’s husband, Hugh Dancy, also played an autistic person in the 2009 Sundance Winner, “Adam,” a story about a person with Aspergers finding love. “Well, my husband played an autistic person six months before I did this, in Adam. So that was curious,” Claire hinted. Personally, I think Claire Danes has already redeemed herself from the 1998 comment by accepting the role as Temple Grandin, and by her husband’s role in Adam. I’m purely basing my sentiments on both the trailers alone. (It has been 12 years already!) Claire, you’re forgiven. Still not convienced? Click here to Claire on the teaser. 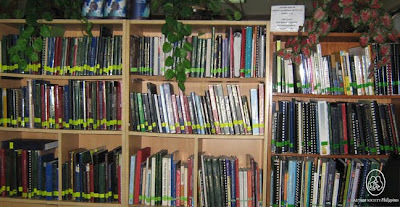 Visit the ASP Library at Room 307 ML Bldg. #47 Kamias Rd. Quezon City or call us at 9266941 or 9298447 to read books and videos on Temple Grandin. Want to donate books and videos for the ASP Library, write us at autismphil@pldtdsl.net or call us at 9266941 for details. Temple Grandin's biopic is not yet available in HBO Asia.